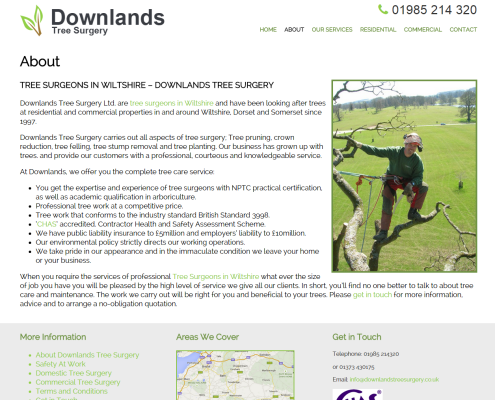 Downlands Tree Surgery carries out all aspects of tree surgery; Tree pruning, crown reduction, tree felling, tree stump removal and tree planting. 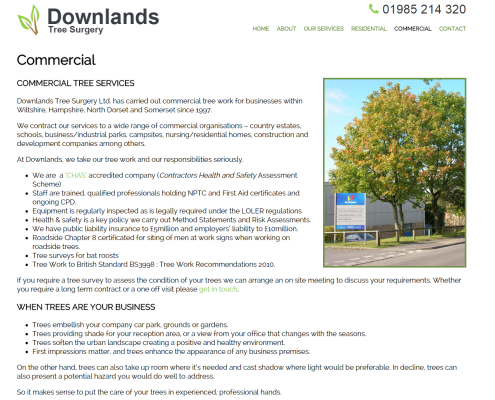 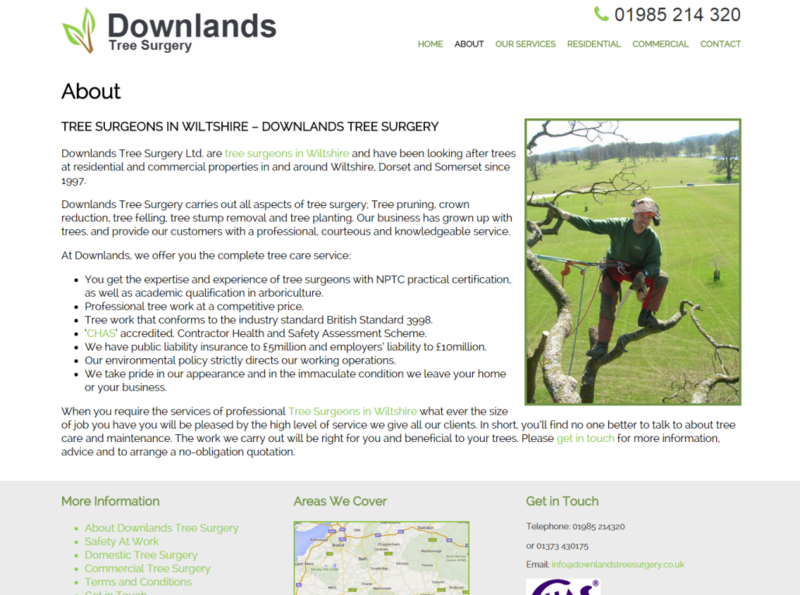 Downlands Tree Surgery has been a client of ours for a while, the tree surgeons asked us Frome Website Designers to help build their new website design, a design which reflected on their talent and correctly promoted their brand on the web. Having under taken many other website projects similar to their requirements, we knew exactly what to build to not only have a stylish look, but was also designed with being found when searching in mind to ensure promising results. 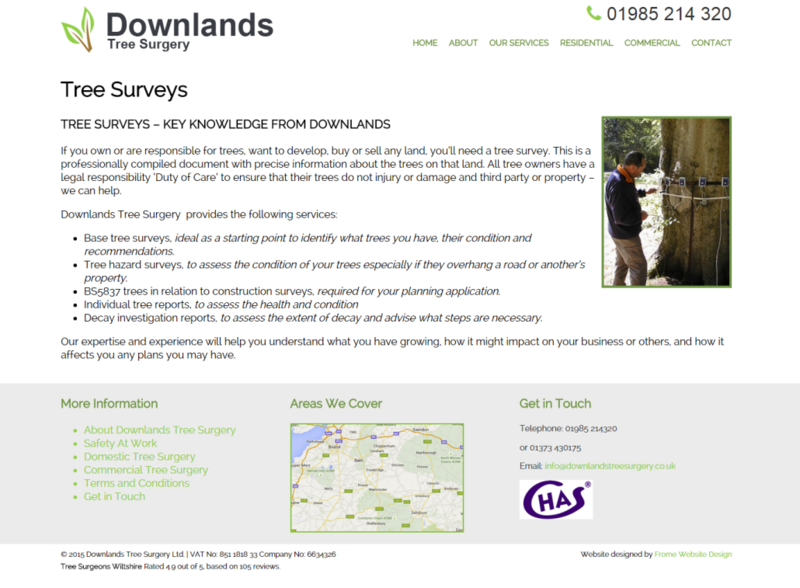 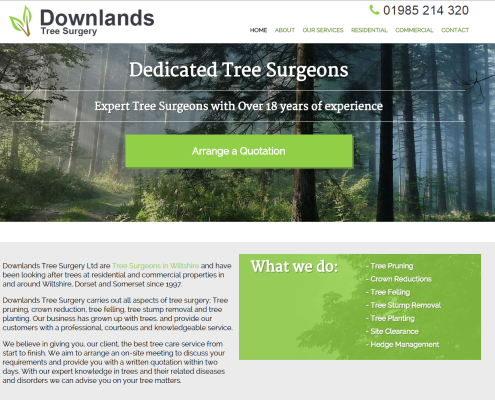 Downlands Tree Surgery were looking for a website design which represented their passion for tree surgery and care work, and a design which represented their brand professionally online. 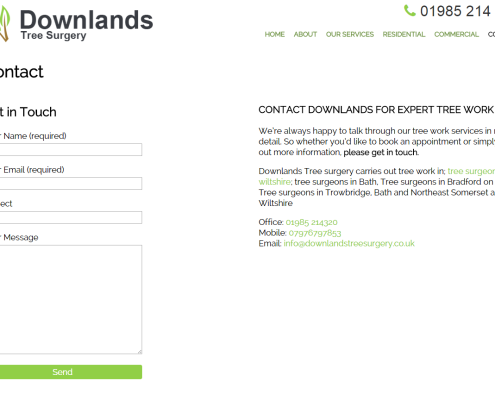 Not only were they looking for a stylish website, they wanted to have a high search engine ranking to promote their services around Wiltshire, Bath, Frome, Westbury, Bradford on Avon and the surrounding areas. 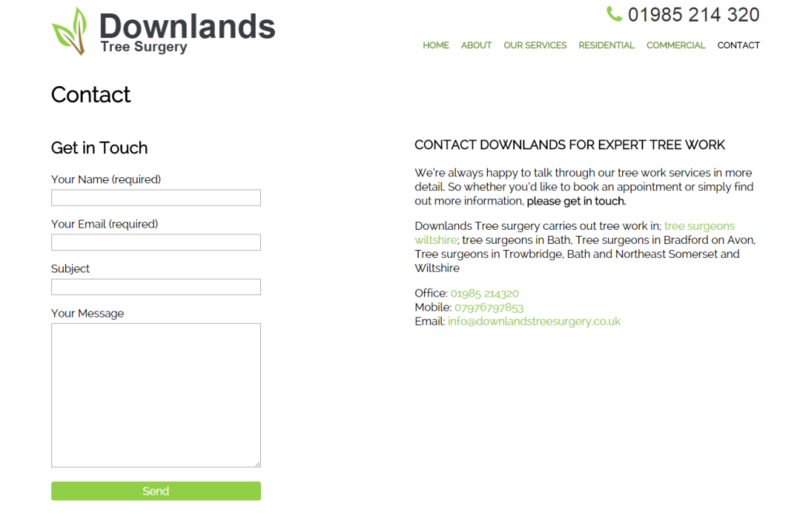 They also wanted to be able to edit their website at ease, without having any technical knowledge of coding. 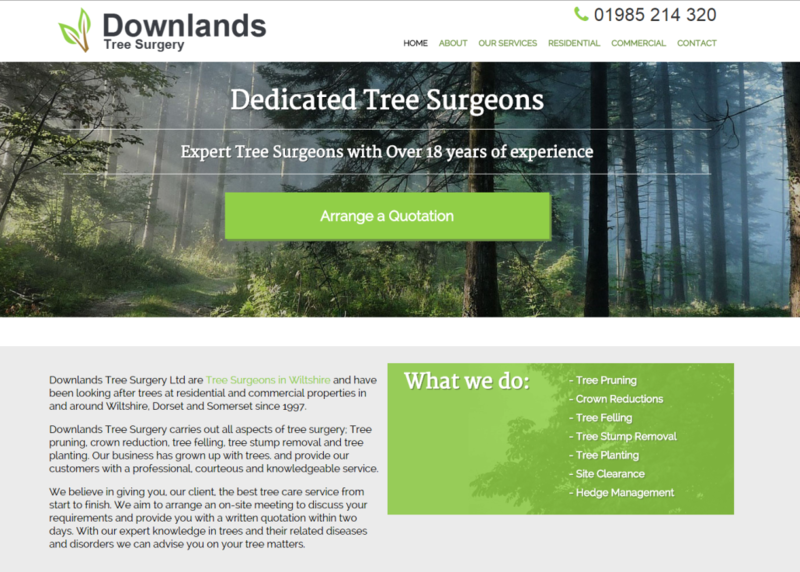 After many discussions in regards to the website, the team got to work and delivered a site which not only fulfilled all of their requirements, but a design they loved – built for the search engines, setup for the client to add pages and edit content with ease, a design which correctly represented their tree surgeon brand.